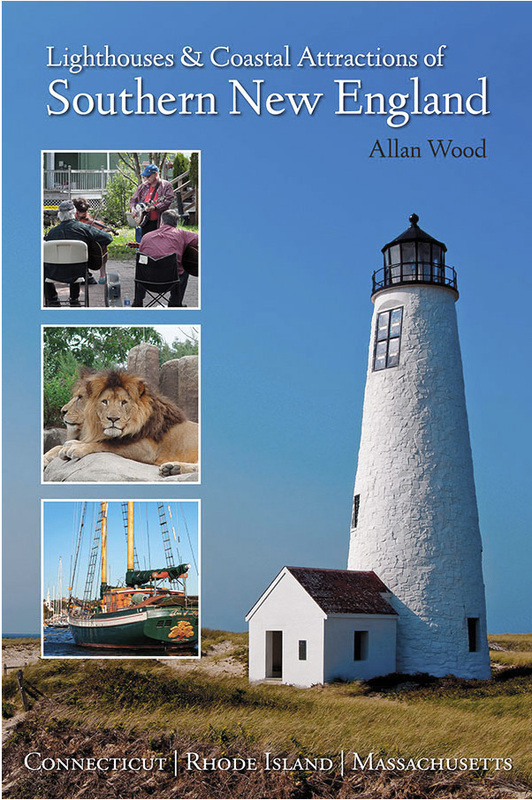 Pecks Ledge Lighthouse and Other Attractions in Norwalk, Conn.
Last lighthouse to be built in Long Island Sound. Located within the Norwalk Islands. 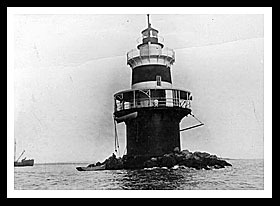 As a commercial port, Norwalk was in need of a lighthouse on Peck Ledge to help mark the entrance to the harbor. Pecks Ledge lighthouse was built in 1906 for the increasing traffic. In February of 1913, Keeper Conrad Hawk was repairing lobster traps using tar he had placed in a small tub. He noticed through the kitchen window a nearby post lantern had gone out and decided to row out to relight the post, leaving the small tub of tar near a kitchen stove. After lighting the lantern, as he started to row back to the lighthouse, he saw smoke pouring out of the tower’s windows. He quickly made it to the lighthouse and managed to get into the smoke filled kitchen. Using a clam rake, he dragged the tub of tar across the floor, pushing it out the window onto the rocks below. Hawk then climbed up the outside ladder and found a heavy quilt from the upstairs bedroom, which he used to block the remaining fueling draft from the kitchen window. He found rope, which he tied to a bucket, and then dropped it over the edge, filling it with seawater to throw on the remaining blaze. After a number of attempts, the remaining flames were finally extinguished. His quick thinking kept the lighthouse from being destroyed, although his carelessness caused the fire. Keeper Charles Kenny and his assistant were credited for rescuing 5 men from the vessel J. C. Austin, which started to take on water near the lighthouse on a cold December day. In 1933, Peck Ledge was automated against the wishes of Norwalk area mariners, and although the original Fresnel lens was removed in 1939, it still remains as an active aid to navigation. Norwalk offers Calf Pasture Beach and Shady Beach, Cranbury Park, Veteran's Park, and the Gallaher Estate, which is an old English Stone Estate for visitors to enjoy. During September check out the Oyster Festival in Norwalk’s Veteran’s Park. Norwalk State Heritage Park is a picturesque urban waterfront area in the city based around the wildlife estuary of the Norwalk River. Take a walk around historic South Norwalk and enjoy its restaurants, shops, and clubs, combined with museums and galleries, then relax at Oyster Shell Park. The Maritime Aquarium is one of the most sought after attractions in Norwalk. There are plenty of museums, art exhibits, and events for everyone. You can visit the Lockwood Mathews Mansion Museum as “one of the earliest surviving Second Empire Style country houses in the US". They offer two lighthouse cruises in the Spring so book early. 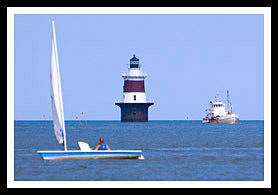 The one for Central Long Island Sound, covers Peck Ledge, Greens Ledge and Sheffield Island lighthouses in Norwalk, Penfield Reef Lighthouse in Fairfield and Stratford Shoal (Middle Ground) Light. The one for Western Long Island Sound covers Greens Ledge, Sheffield Island, Stamford Harbor (or Harbor Ledge), and Great Captain Island.